Bigmouth Strikes Again: Everybody Wins! If you are my friend on Facebook (and if you’re not, send me a friend request!) you know that I have been posting a YouTube video of a Christmas song every day since December 1. 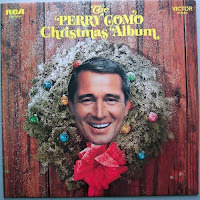 I love traditional Christmas carols and sappy seasonal songs like Have A Holly Jolly Christmas, and There’s No Place Like Home for the Holidays, though I admit that this is the only time of year that I would listen to this kind of music. 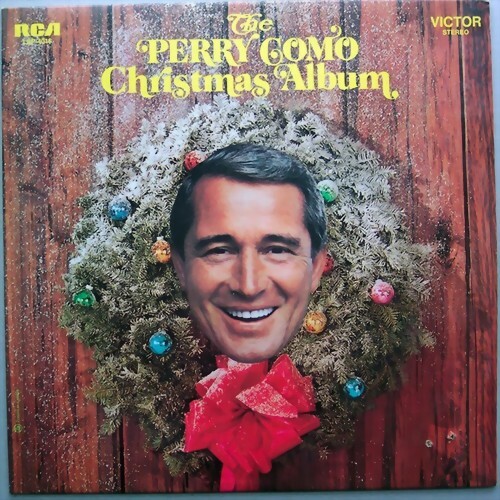 But even more, I like when MY kind of music takes a Yuletide turn. I have no problem at all finding songs to post - lots of my fave artists have gone Yule: XTC, U2, Emmylou Harris, Bruce Cockburn, The Pogues, The Pretenders... There’s one record, though, that I tend to keep in my car throughout the season, and I’ve had to practice quite a bit of what Oswald Chambers calls, “sheer determination of the will” to keep myself from posting every single song off it: A Very Special Christmas 3. 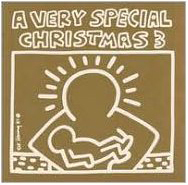 As its number indicates, it’s the third in a series of compilations of festive tunes recorded by current pop stars and sold to benefit Special Olympics. This edition is loaded with great tunes by 90s standouts, and nearly every song is AWESOME. It’s got Sting, who Saw Three Ships, Steve Winwood, who sings a gorgeous, albeit slightly judgmental Christmas Is Now Drawing Near At Hand, Blues Traveler having an existential crisis, Rev Run & the Christmas All Stars featuring Mase, Puff Daddy, Snoop Doggy Dogg, Salt N’ Pepa, Onyx & Keith Murray giving us a taste of Christmas in the ghetto, and Natalie Merchant or 10,000 Maniacs, doing Children Go Where I Send Thee (which I can’t listen to without thinking about how a friend of mine was at a party once where Natalie Merchant took off her top and danced around.) Also, Patti Smith sings an eerie, exotic version of We Three Kings. My son says she sounds like me – I’m not sure whether to be flattered or insulted! And the guy from Soundgarden does a stunning rendition of Ave Maria – not quite grungy, not quite sweet, but a little of both. 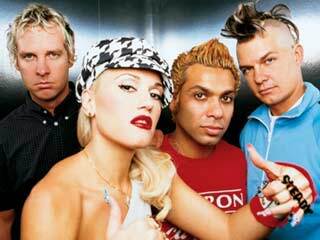 But this year, the song that has been on endless “repeat” in my car for Bill – and for me, is No Doubt’s cover of the Vandals’ Oi to the World. This song has EVERYTHING. A searing bass intro, a groovy ska beat, great trumpet riffs on traditinal Christmas songs, a great story, and a happy ending. It goes pretty fast, but if you can concentrate on the lyrics, it’s about a “punk” named Haji, and a “skin” named Trevor. See, Haji starts an “Oi!” band. Here’a a little background (according to Wikkipedia): “Oi! is a working class subgenre of punk rock that originated in the United Kingdom in the late 1970s. The music and its associated subculture had the goal of bringing together punks, skinheads and other working-class youths (sometimes called herberts).” Britain’s recent history is full of periods of unrest between gangs of its disenfranchised young people. 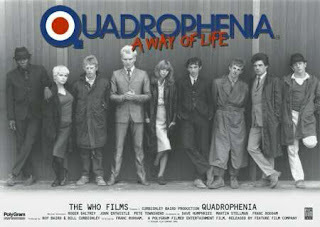 Ever seen Quadrophenia? It’s the Who’s awesome film (featuring Sting!) about riots in the 60s between Mods and Rockers. There were riots in the early 80s and again this past summer. The sharks and jets change, but it’s something that is always just simmering under the surface. Oi! was a shortlived movement that urged young people to "just get along." So in the song, Haji’s band is playing in a pub on Christmas Eve, which makes Trevor and his friends super mad. You see, they like the music, but not the implication that everyone should get along... A rooftop rumble ensues in which both gangs beat each other to a pulp with nunchucks and “a sword like the guy in Indiana Jones.” Most of the guys flee, leaving our principals suffering on the roof in their injuries. Here’s the best part... While laid out flat on his back, Haji spies a star – ostensibly the Christmas Star, gets up and wraps Trevor’s wounded head with his own turban. Happy Christmas ending: they climb down and buy each other a drink.